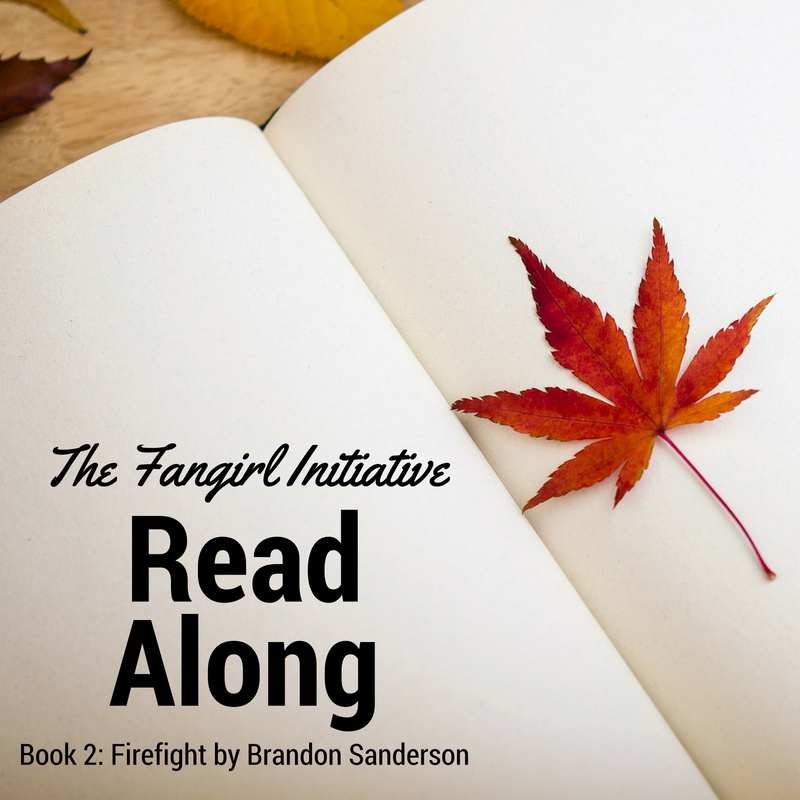 Hello, all, and welcome to the read-along for book 2 of The Reckoners series by Brandon Sanderson! Anyone else ready for another tale of Epics, their super powers, and the ordinary people who hunt them? Let's dive into Firefight! Well...I don't have much to say except that was a short sweet bit of freakiness. Too thin to be blood, it was an old powdered drink mixed with water and sugar. Did…did we seriously just see an Epic whose weakness is Kool-Aid? I don't even know what to think right now. Tia cursed in my ear. "That's what you were running for? The zip line's two apartments over, slontze." Well. Nice to see you haven't changed that much, David. "It's just like before, with Mitosis. They don't want to fight me; they want you…"
Hi, David, I know a girl I bet you'd get along with fabulously. You should look her up. Knowing that the powers literally corrupted the Epics changed my perspective on all of this. A lot. I'm sure many of us have heard the John Dalberg-Acton quote: "Absolute power corrupts absolutely." And while I know I've seen that quote alongside several superhero stories, I've never seen it taken to its full extreme as in the Reckoners series. "You have to understand this, David. When an epic lets their powers corrupt them, they choose to become the enemy…"
I have to wonder, though--is Prof right? Do Epics chose to become corrupt? Certainly, they'd have to make a conscious choice to use their powers. But if all Epics aren't gifters, such as Edmund and Prof, then do the non-gifter Epics really have a choice? Is it really, as he says a few paragraphs down, "like putting down a rabid dog"? "Those are from Babilar," he said. "What used to be known as New York City." "That's where Mitosis had been working before he came here," I said softly. "Coincidence?" Babilar, otherwise known as Babylon Restored. I can think of a half dozen different theories tying Babylon and Epics together…anyone care to float some theories of their own? So what do you think of the beginning of Firefight?